What Android devices should I test on? Customers often ask me for suggestions as to what devices they should buy to test their applications on. In the iOS world you can have every single device your app will ever run on sitting on your desk. In the Android world things are not quite so simple – as of early 2014 an app targeting phones and tablets, from 2.3 up will have to run on over 4722 different devices! Now if you do a bit of naive maths, you might say hang on, thats still 400 devices! Fortunately you can use one device to tick multiple boxes – for example Samsung Galaxy Y will allow you to test on a 2.3 device, with a small screen size, in ldpi resolution running Samsung’s version of Android. Also many combinations don’t exist – good luck finding a 2.3 device, with a xlarge screen in xxhdpi density for example! The Galaxy S2 and S3 are both extremely popular devices with a massive portion of the Android market share. Just testing on the Galaxy S3 alone will allow you to cover off a large portion of the android device market share. The S2 allows me to test on an older device with a smaller screen size and density. The S3 is still one of the most popular Android devices on the market, it features a very common screen size (4.8 inches) and runs in the popular xhdpi density. Googles nexus line of devices allow you to test under googles unmodified stock version of the Android operating system. Rapid software updates released from google mean you will always be able to test agains’t the newest version of Android. In addition each of these devices have been very successful in the market place. The Nexus 5 is probably one of the cheapest ways to get an xxhdpi class display to test your app on. The Samsung Galaxy Y it an extremely cheep low end device. It allows apps to be tested under Android 2.3 on a small screen with the LDPI density. Surprisingly the Galaxy Y is an extremely popular device! Open Signals June 2013 report showed it was the 3rd most popular Android device, comming just behind the S3 and S2 in terms of market share! Undoubtedly this is being driven by its price – the Galaxy Y can be picked up for $59 from Coles supermarkets. The Huawei Ascend is another low end device, this time running android 4.0.3 with an mdpi, 3.5 inch sized display. This allows me to test under another manufacturers version of Android. The Ascend can be picked up over the counter at coles supermarkets for just $39 – a sunningly low price for a 4.0 android device. 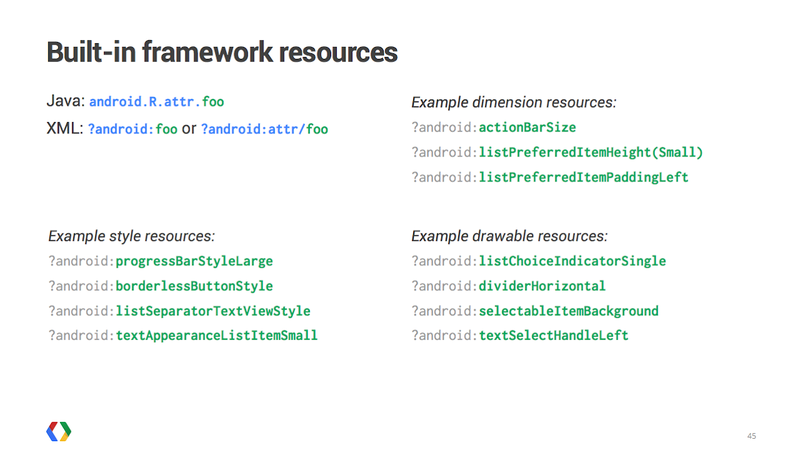 There is some really good stuff in there if you are interested in Android design. This may be a surprise to some people who know me, but I am not particularly excited by the idea of writing my own arbitrary precision RPN parsing engine. Thus when I started to build the Clean RPN calculator app I decided to reuse the C Mapm library, which already includes an example RPN engine capable of performing arbitrary precision calculations using a wide variety of mathematical functions. The mapm library uses make and comes with several handmade build files, which are relatively simple to modify. I created a copy of makefile.osx which is provided the mapm zip, and renamed it to makefile.android. At the top of the makefile a variable is defined with the location of the c compiler. I change this to point to the absolute path of the NKD’s c compiler and set the –sysroot parameter. at the command line will now produce a libmamp.a which is suitable for use in an Android project. If mapm had made use of autotools it may have been simpler to use a tool such as Androgenizer to bridge the gap between autotools and the android NDK build process. The libmamp.a produced by the modified build. The a modified version of calc.c from mamp which implements the RPN parser. // Don't forget to call `ReleaseStringUTFChars` when you're done. The last step is to run the NDK build tool from within eclipse following the process described here. This will compile the JNI code and link it to the existing libmamp.a. By splitting out the native C code from JNI specific C code we were able to use the existing mapm build system to compile libmamp. It was simple to modify the build system to use the NDK toolchain to compile the library. This allowed us to quickly integrate an existing C RPN calculation engine into the clean RPN app.